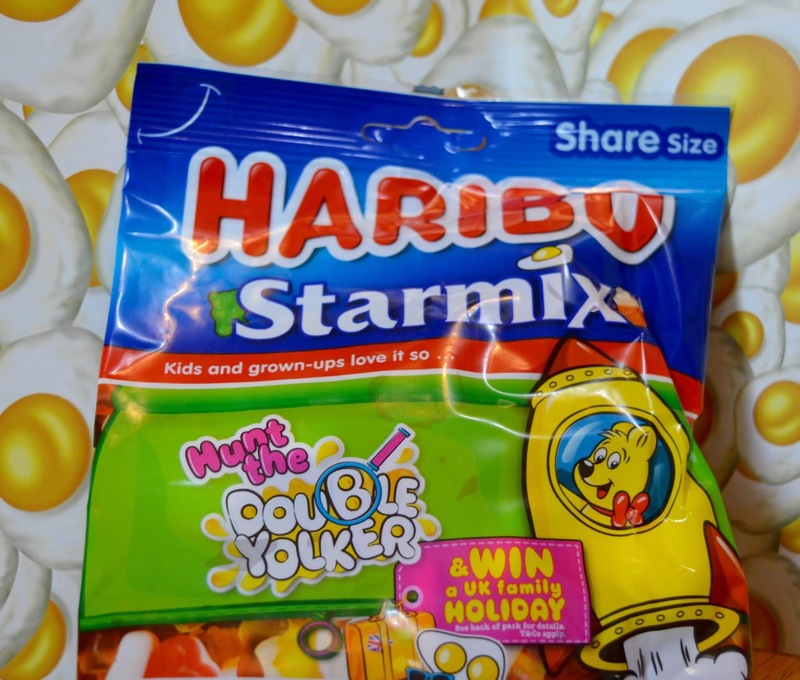 20 hand-crafted 'Double-Yolker' sweets have been randomly hidden amongst Starmix's much-loved Egg, Bottle, Heart, Ring and Bear-shaped pieces. If you're lucky enough to find one of these special 'Double-Yolkers', your family will be treated to a UK family break with forest holidays. With 20 chances to win, this seems like our kind of challenge. 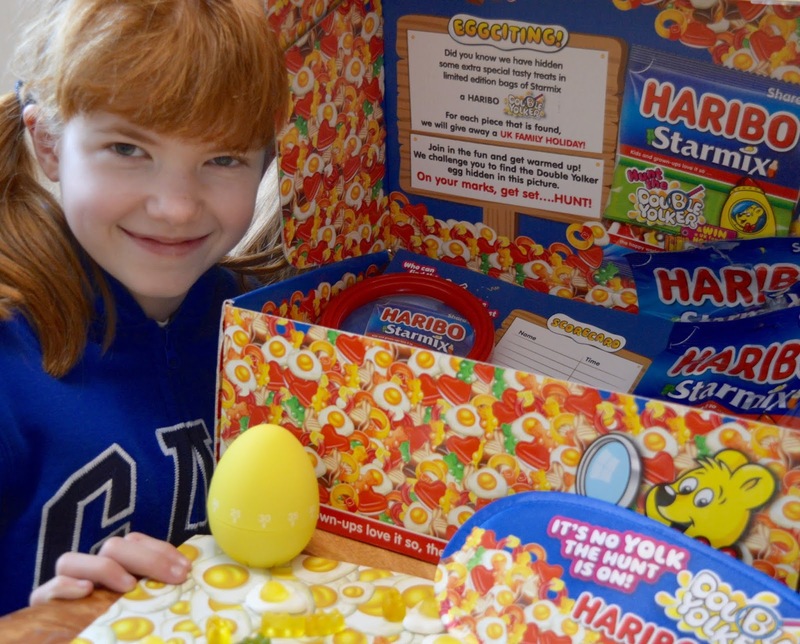 How Eggciting!! 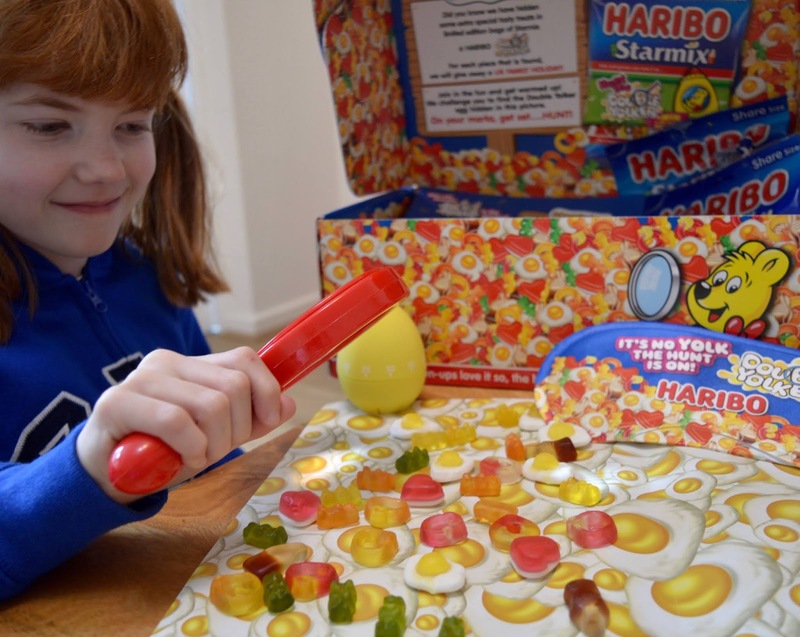 Harry, Heidi and Jack absolutely love HARIBO Starmix (as do I) and we often buy a bag to take with us to the cinema or to enjoy as a treat during a road trip or movie night. 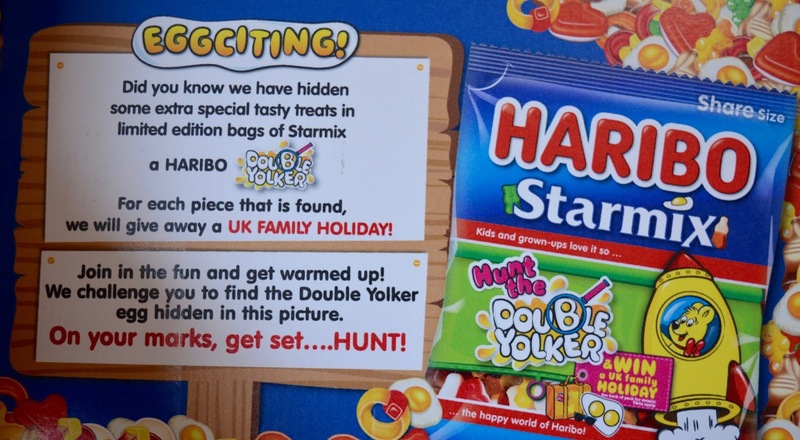 I love the added excitement that trying to find an elusive 'Double-Yolker' brings and the chance of winning 1 in 20 Forest Holidays definitely offers an incentive to choose a limited edition bag of HARIBO Starmix over other treats this Easter. 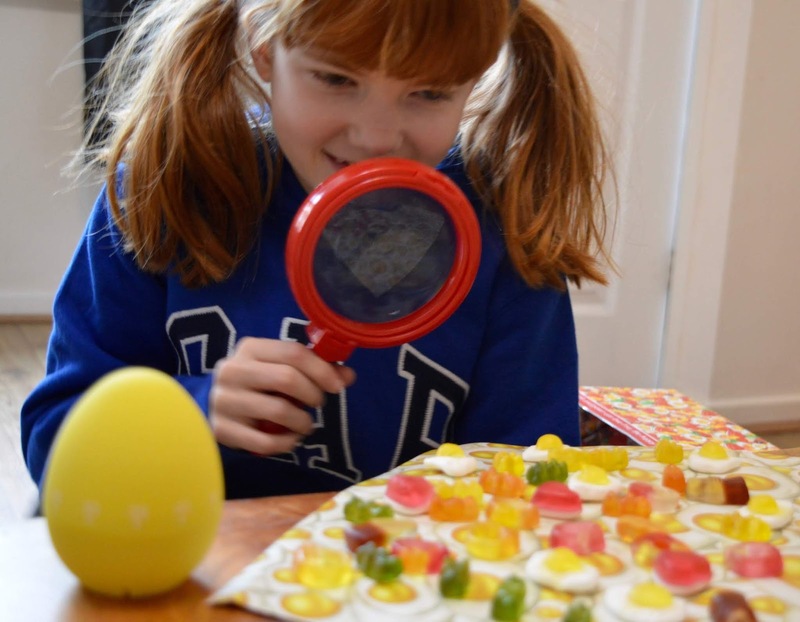 Heidi takes the job of searching for a Double Yolker very seriously! 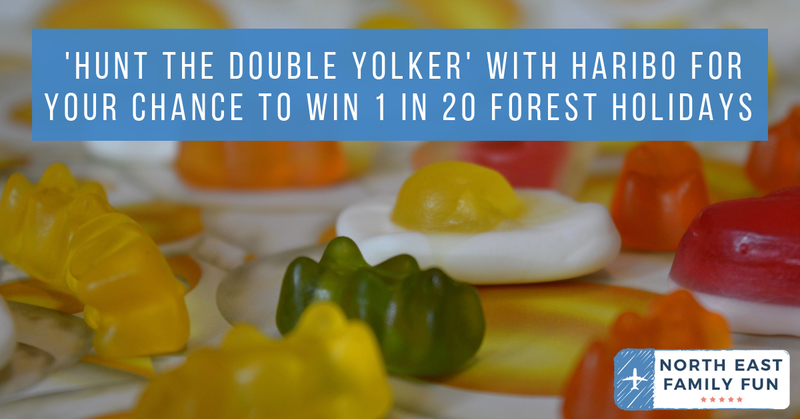 If you're lucky enough to find 1 of 20 Double Yolkers, there'll also be a winning ticket inside your bag with details of how to claim your Forest Holiday prize. Forest holidays offer award-winning short breaks in a choice of 10 locations across the UK. 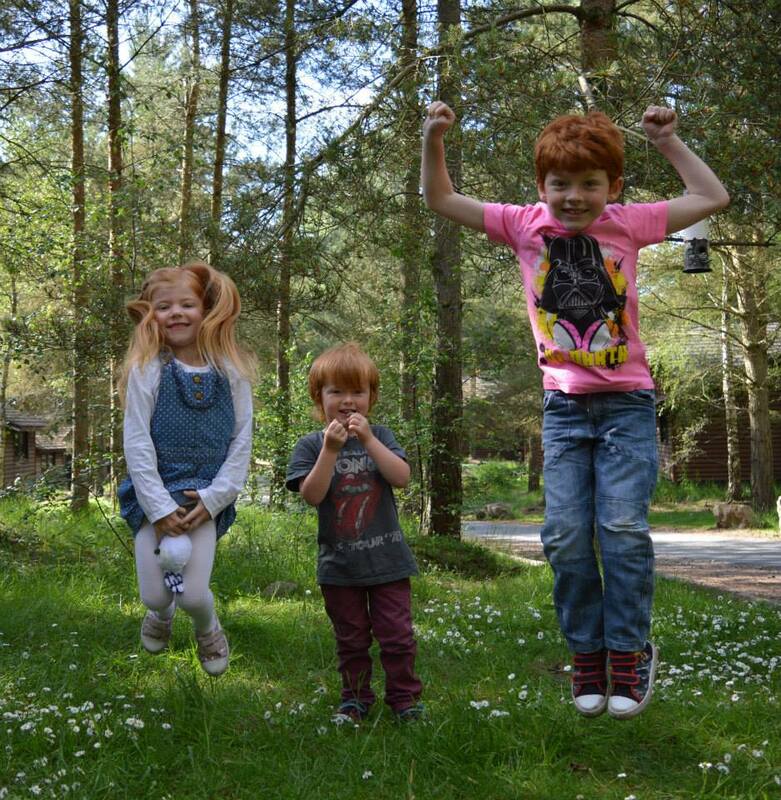 Your family will enjoy beautiful woodland in the heart of Britain's forests. What a fantastic prize! 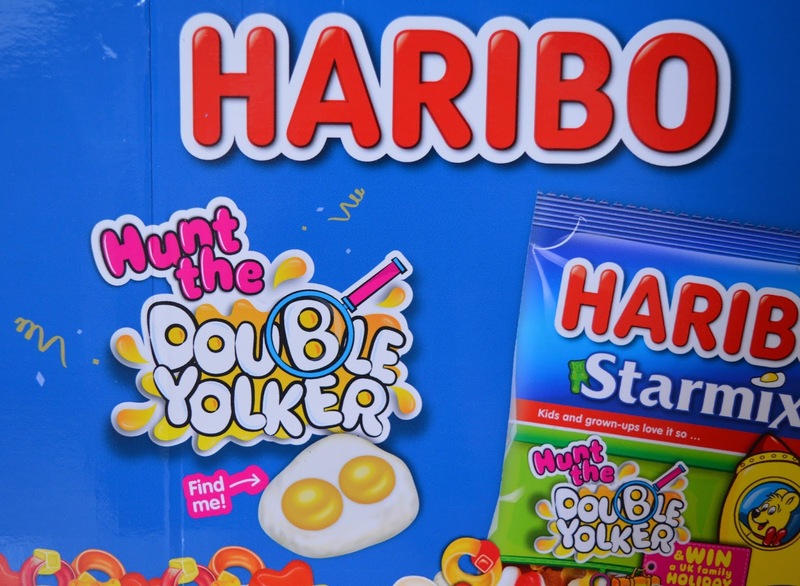 There are 20 double yolkers inside Starmix bags. Find one to win a UK adventure holiday with Forest Holidays. Promotion runs from 1/4/19 to midnight 21/4/19. Internet access, phone number and email address are needed to enter. There are 20 x Forest Holidays to win. Prize includes a short mid-week or weekend break for up to 2 adults and 2 children at a choice of 10 Forest Holiday locations. 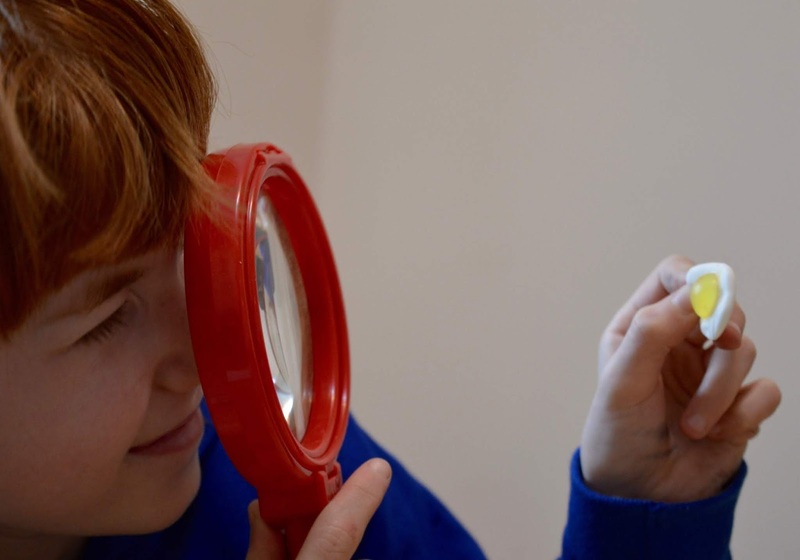 Prize includes self-catering accommodation, complimentary bike hire and a ranger activity. Check out the full t&cs online here. I would absolutely love it if one of my readers manages to find a Double Yolker so if you do, please do message me and let me know. Good luck!! 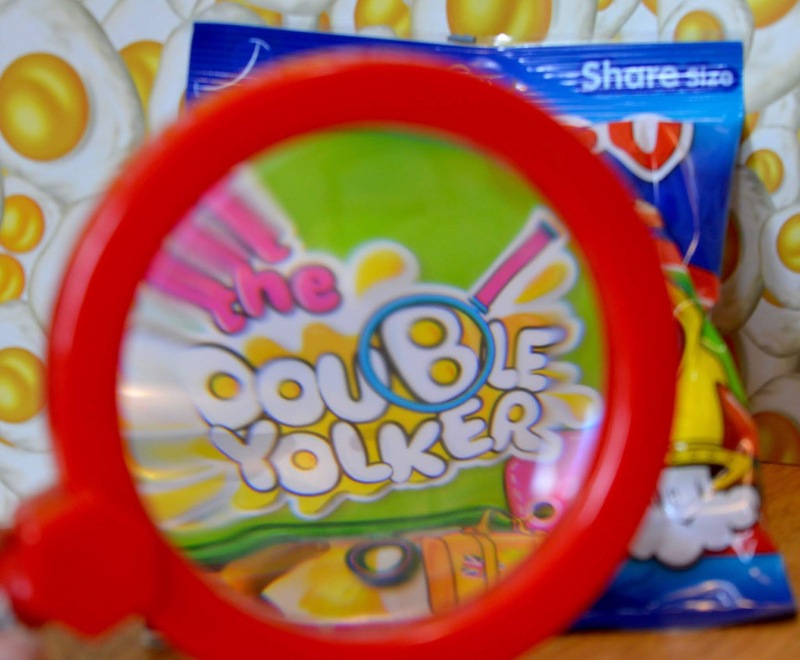 I've been provided with one 'Hunt the Double Yolker' kit to giveaway to one lucky reader in celebration of this campaign. 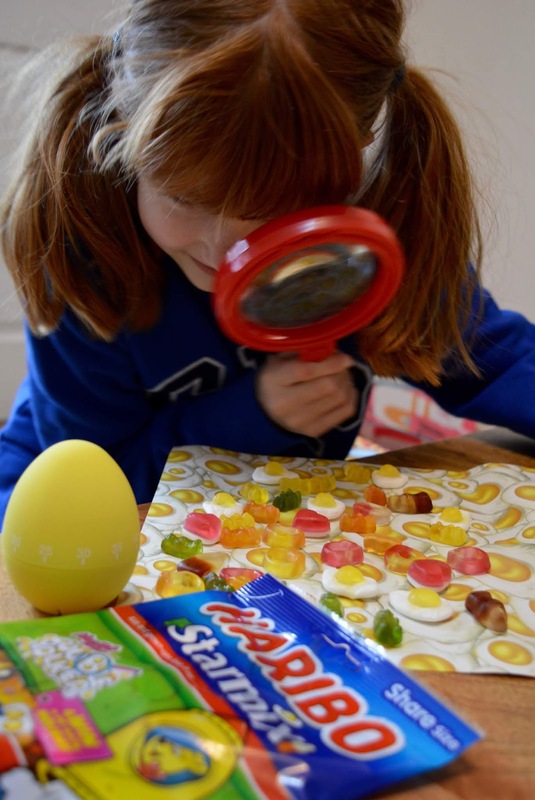 Your kit will include limited edition HARIBO Starmix, a magnifying glass, egg hunt game, egg timer, sleeping mask and more. To enter simply follow @NEFamilyFun over on Twitter and RT this Tweet. Giveaway ends 18/4/19. Over 18s living in the UK only. You've made this look so much fun. Yes please... Where are the Double Yolkers? Wow - what a fantastic prize! 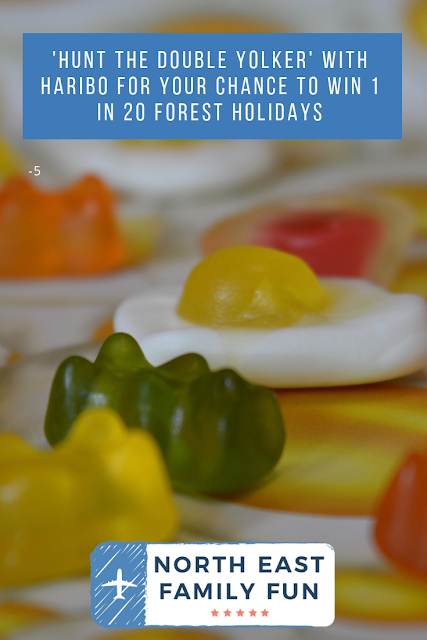 We love Haribo AND we had a fantastic time when we stayed with Forest Holidays. So it's win-win all round. Off to buy a packet or two now!